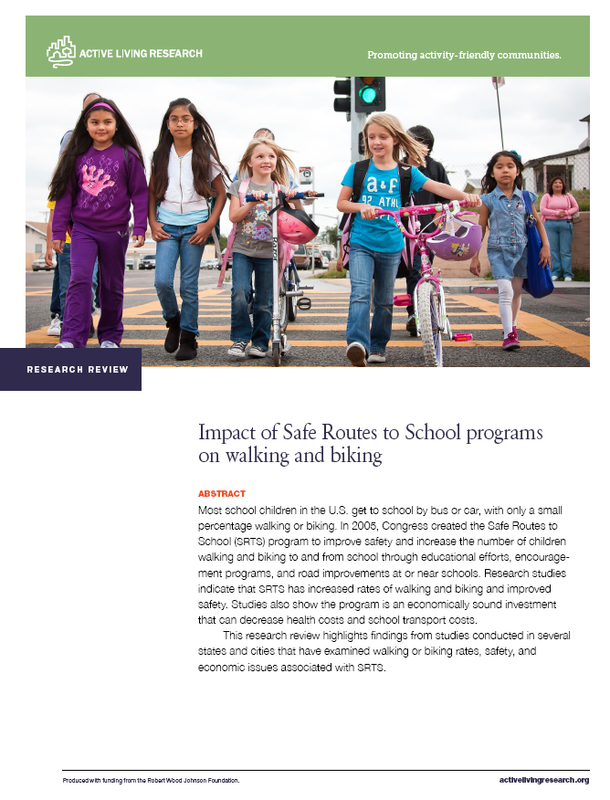 New research review highlights evidence on walking and biking rates, safety, and economic issues associated with Safe Routes to School. SRTS has increased the number of students who walk or bike to and from school. Unsafe routes make it harder for students to walk or bike to and from school. SRTS has made it safer for students to walk or bike to or from school. SRTS can lower health care and transportation costs for school districts and families. Communities can take action on SRTS through subdivision regulations that require sidewalks, education facility plans that ensure access to school by foot and bicycle, school wellness policies that include Safe Routs to School, and capital improvement plans that prioritize engineering improvements near schools.